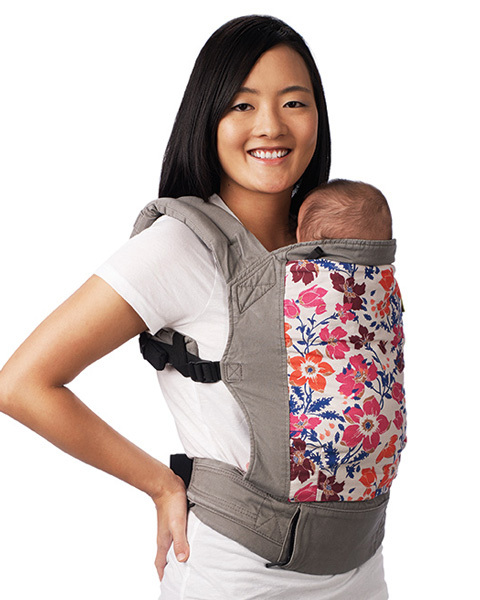 In this baby wrap the infant is in the upright position which is not the best position to be able to breastfeed while using this wrap carrier. It does, however, position the infant against the mother's chest thereby giving the infant the added comfort of hearing and feeling the mother's heartbeat. It also appears to hold the infants head in the proper position and looks comfortable to wear for the mother. Look for another baby carrier next Friday on Baby Carrier Friday. Your comments are welcome.